 Texas transformed an outdated Medicaid system into a modern, personalized Medicaid health insurance program. Through this collaboration of doctors, providers and health plans, Texas has delivered innovative solutions to help improve health care and lower costs for taxpayers. 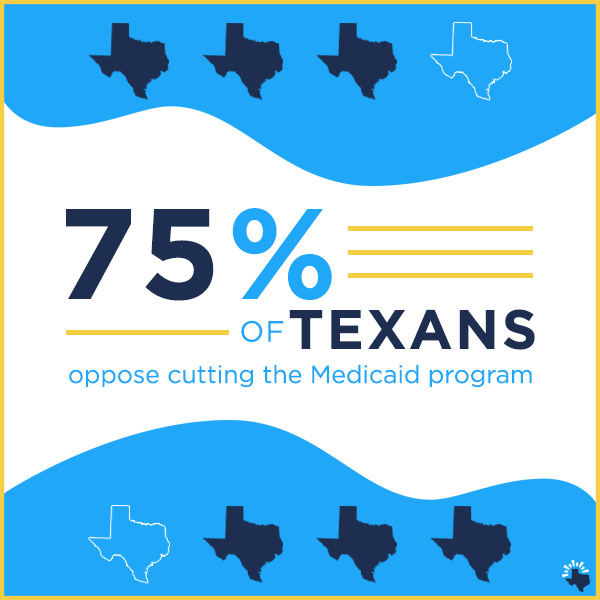 Here are a few ways Medicaid keeps Texas healthy. 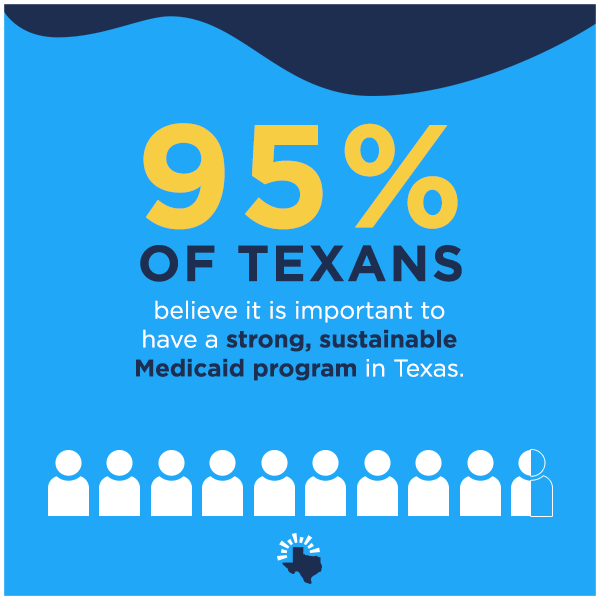 Texas Medicaid connects people with the health care, doctors, and medications they need to get healthy and stay healthy. 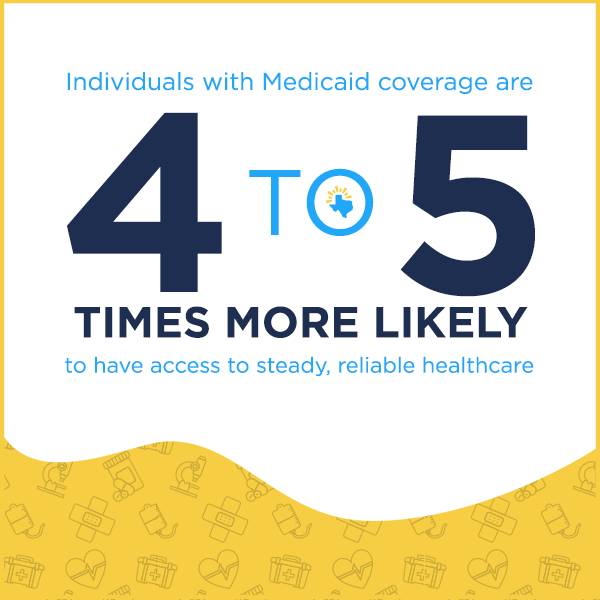 Medicaid health insurance coverage goes beyond traditional health care for vulnerable Texans - it also helps individuals get jobs, find secure housing, coordinate transportation to doctor’s visits, and help older Texans and individuals with disabilities live independently in their communities. Medicaid health insurance coverage focuses on prevention, using wellness visits and screenings to keep Texans healthy and avoid common illnesses and disease.  Studies show Medicaid beneficiaries have better health outcomes for certain conditions than people without insurance. In Texas, this focus on prevention and wellness is keeping people healthy and out of the hospital. Medicaid health insurance saves money for taxpayers with innovative, cost-effective care. With efficient administration, Texas Medicaid ensures a majority of Medicaid dollars are being spent on direct patient care. When Medicaid helps Texans get healthy and stay healthy, costs are lower for everyone over the long term. As a result, Texas Medicaid per-person cost growth is extremely low — less than 1% a year on average — while U.S. cost growth has grown 5 times faster.